There's a new colonel in town - and he means business. 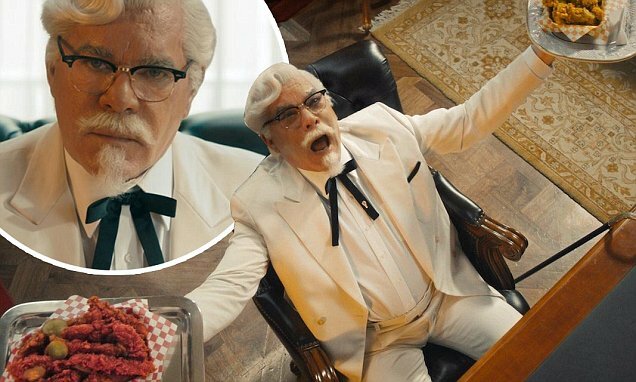 GoodFellas icon Ray Liotta has become the latest actor to play Colonel Sanders in a new commercial for KFC that was released online on Thursday. The kick-off point of his breakdown is a pair of trays on the desk in front of him. 'Try it, you gold prune!' taunts the gruff Colonel with a laugh. Inanimate objects get in on the action, springing into life - at least in the Colonel's mind - to nudge him toward either Georgia Gold or Nashville Hot.